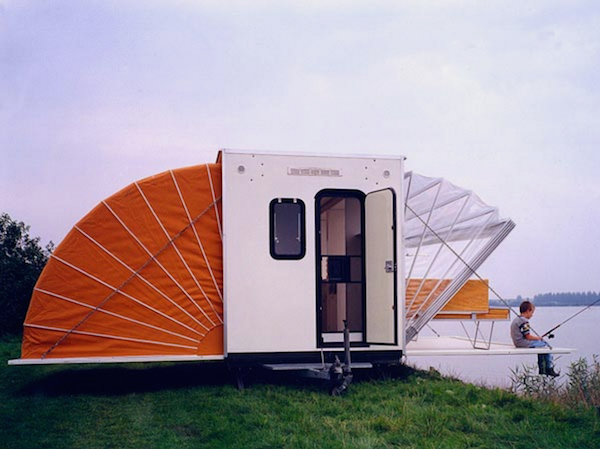 Designed in 1985 by a man named Eduard Bohtlingk, the ‘De Markies’ (The Awning) was entered into the “Temporary Living” competition, winning several awards in the process. 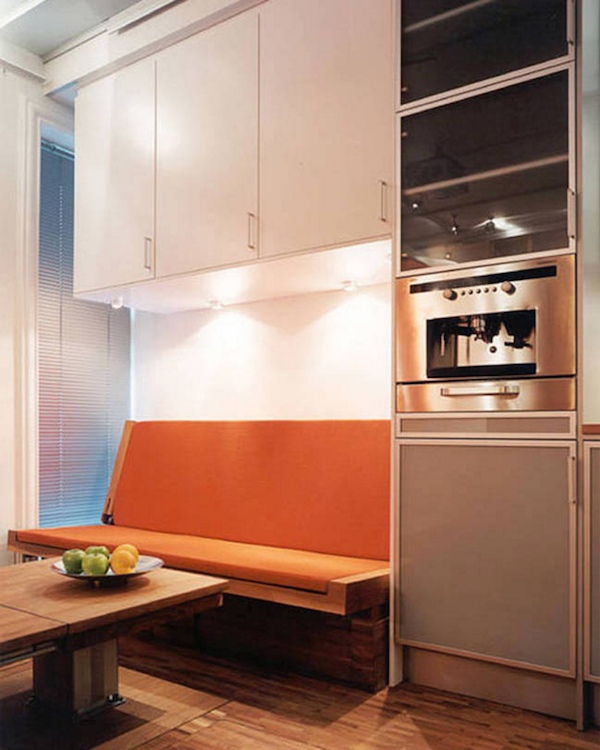 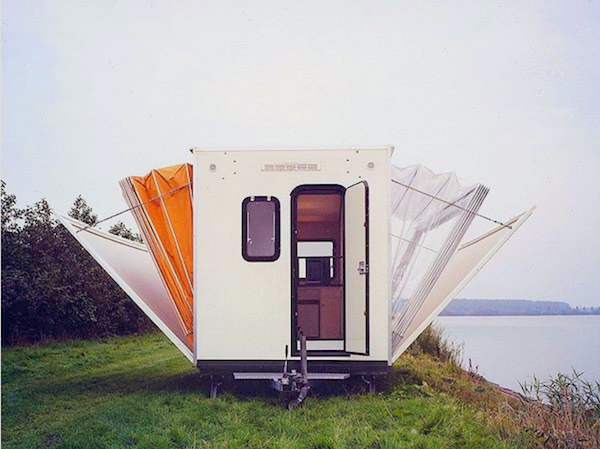 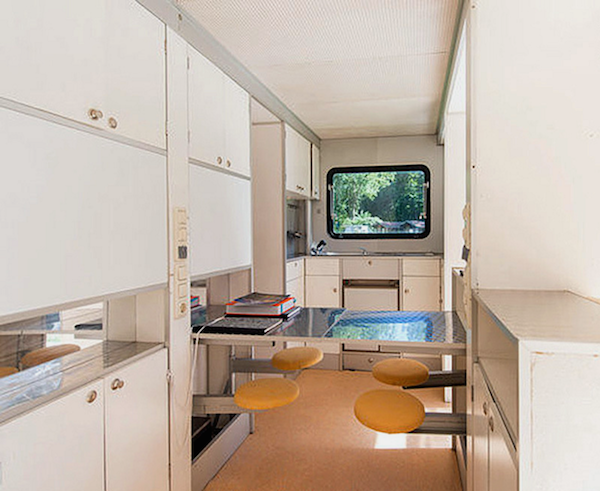 His design enfuses the love of camping with all the amenities of home. 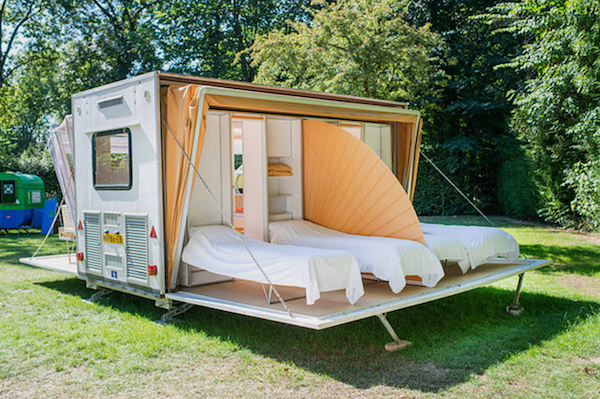 The sides both fold out, revealing sufficient space for up to four people, with a stylish living room, bedroom, kitchen and bathroom. 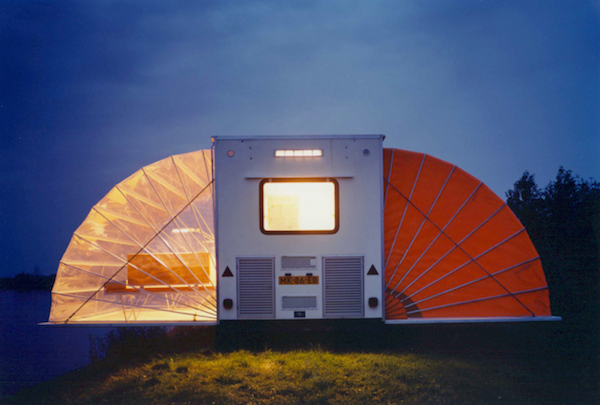 The vinyl awnings fold out to provide fresh air and privacy on both sides, as well as collapsible furniture to save on space.